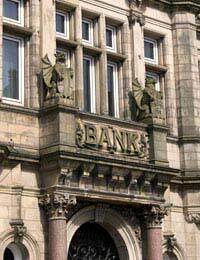 High street lenders are financial providers that you will see when you walk down any high street in any city or town. Banks, building societies, and other lending establishments will all vie for your custom as you walk down the high street. Considerations when choosing high street lenders will range from interest rates to lending reputation. High street lenders such as banks and building societies used to have the largest slice of the pie when it came to loans and other financial services. But now the market has become more competitive with newcomers edging their way in. The major banks have to contend with supermarkets, fast cash loan operators, and the ubiquitous high interest lenders that can be found on most high streets. Competition for custom should be a good thing for consumers but in some cases it simply means more research is needed to find the best high street lender. In other cases the amount of competition will be too much for some borrowers who will simply head back to the familiar lenders that they have used for years. One of the main benefits of high street lenders compared to internet lenders is face to face interaction. You can actually go into a bank or building society branch and make an appointment to talk to an advisor. This is actually a good test as one of the considerations when choosing high street lenders. If you are taking out a loan with a bank or building society that you have not used before one of the first tests should be making an appointment to see an advisor. If the lending establishment you choose cannot see you for a few weeks then you should question their actual customer service commitment. If this is how they operate before you have become a customer, then what will they be like once they have already obtained your custom. One of the other major considerations with high street lenders that have been making customers very disgruntled is their call centre policies. You may not like the idea of speaking to someone in a call centre in another part of the country, or in some cases another part of the world. But many of the major lending institutions do use call centres, and you will have to explain your problems to call centre advisors, before you are placed through to your own branch. If these issues are important to you as a customer then you should take them up with an advisor when you discuss your lending requirements. Of course there are some high street lenders that will seem over anxious to supply you with a loan, and these will usually be the no credit check lenders. These lenders will offer loans to virtually anyone regardless of their credit history. It is never a good idea to consider these lenders but desperation will lead to temptation. In some cases they can help rebuild bad credit ratings but the interest will be very high, and these lenders should always be approached with caution, if at all. Perhaps one of the best recommendations when considering a high street lender will be word of mouth referral from family and friends. Ask around if you are considering a new lender and see if any family or friends are happy with certain financial institutions. People you know will always be happy to steer you in the right direction, and put you off the lenders with bad customer service records. The golden rule when considering a high street lender is, above all, can they offer you low interest rates on loans. If you have a good credit record then this should be one of your main priorities; saving as much money as you can on your loan. If your high street lender offers a full range of loan packages with low interest rates, and you have shopped around, then you may have found the right high street lender.